Devices that reduce workplace noise and noise caused by power tools. Pair of rigid shells that are connected by a headband and contain soft foam cushions. Soft material that fits around the ears to make the headband more comfortable. Flexible piece that keeps the earmuffs in place. 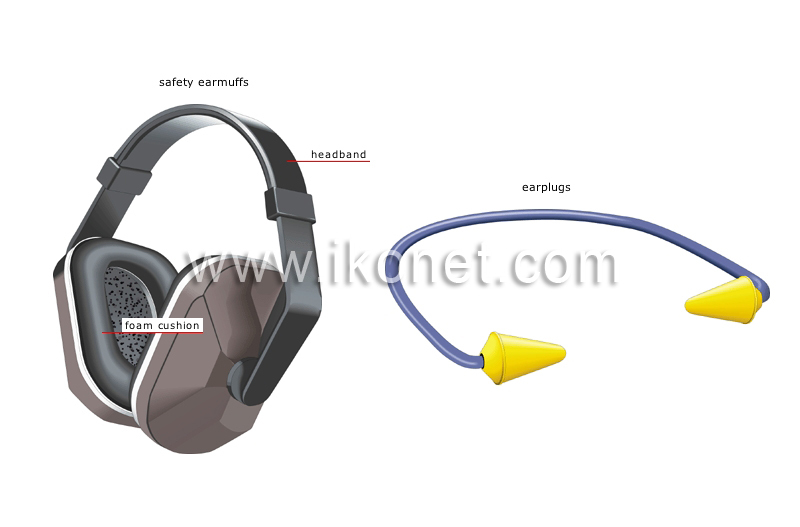 Device with plugs that are secured to the entrance of the auditory canal by a headband.